Sweet William is the latest addition to Ineke‘s Floral Curiosities collaboration with Anthropologie, and like the other fragrances in the collection (Angel’s Trumpet, Scarlet Larkspur and Poet’s Jasmine), it is inspired by old-fashioned garden botanicals. 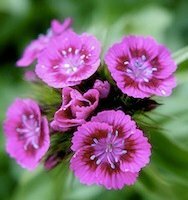 “Sweet William” is the informal name for Dianthus barbatus, which Ineke describes as a “clove-scented” flower with a spicy, woodsy scent. The fragrance includes notes of peach, cinnamon, clove, cumin, cedarwood, sandalwood, patchouli and Bourbon vanilla. I’m a longtime fan of clove-y fragrances and carnations (another dianthus species! ), so I gravitated towards this Floral Curiosity more than any other in the group. 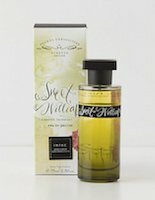 As it turns out, Sweet William is one of my favorite Ineke perfumes so far, but I wouldn’t call it a clove fragrance, and it’s certainly not a carnation-like scent. Its actual smell on my skin is nothing like what the list of notes had led me to expect: I don’t detect any cinnamon or cumin or patchouli, for example. What I do smell at first is a greenish, sweetly balsam-piney scent that reminds me of the bayberry and juniper candles for sale in Colonial America-themed gift shops. It’s a smell that I happen to enjoy; I just didn’t anticipate it as part of Sweet William. 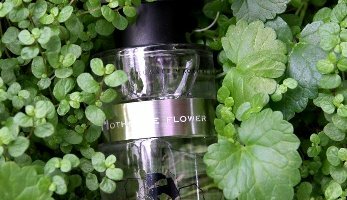 Hothouse Flower is the eighth fragrance in the alphabetical series from San Francisco-based niche line Ineke, and the description — a hothouse elegance wrought from an overindulgence of gardenia — sounded very nearly perfect. Ineke is one of those in-between sort of niche lines: the fragrances are made with care and they don’t smell like all the money went towards the promotional efforts, but they’re neither outré nor esoteric nor difficult to wear; it’s easy enough to imagine them doing well on the counter at Nordstrom. Oh, and they’re under $100 — and as we all know, $100 has long been the new free when it comes to perfume, especially niche perfume. The only one of the line I’ve wholeheartedly adored so far is Field Notes From Paris, which Kevin (and everybody else, I guess) thinks of as an orange blossom fragrance, but which I think of as one of my favorite patchouli-tobacco blends (actually, my only favorite patchouli-tobacco, neither note being a usual favorite of mine). ...GateGirl, who takes the complete set of Ineke + Anthropologie Floral Curiosities travel sprays, and Jennifer1977, who gets the Deluxe Sample Collection, both from our latest giveaway. Congrats! 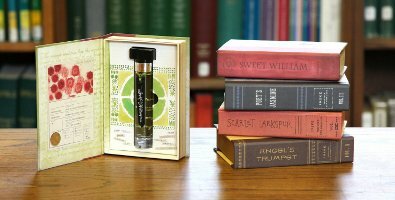 What is it: a complete set of Ineke + Anthropologie Floral Curiosities travel sprays (15 ml bottles of Angel’s Trumpet, Scarlet Larkspur, Poet’s Jasmine and Sweet William). A runner up will get a Deluxe Sample Collection including the latest Ineke fragrance, Hothouse Flower. How do I get it: For a chance to win, leave a comment on the website telling me that you live in the US. And tell me either a) your favorite Ineke fragrance or b) what “unique, rare botanical” you think they should add to the Floral Curiosities collection at Anthropologie.